Terry Willis, Managing Director of EICUK Middle East and BBG Focus Chair for Energy, is gearing up to give his last presentation before taking on the great adventure of retirement. In an effort to go out with a big bang, Terry will share a run-through of each and every one of the major energy-related projects currently underway not just in the UAE, but across the GCC as well as a close analysis of the major contractors and the contracts that they are working on. We hope you will join us to support Terry and thank him for his longstanding service and commitment to the BBG. Terry Willis is the Managing Director of EICUK Middle East (Branch), the operating office for all of the EIC's activities across the Middle East, Africa and CIS countries. 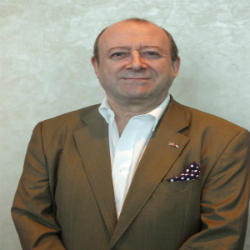 Terry arrived in the GCC in 1982, working as a Sales Engineer in Qatar for a UK multinational cable manufacturer and, after a brief period in Bahrain, moved to Saudi Arabia where he became country manager prior to the first Gulf War in 1991. In addition to specialist knowledge of the energy sector, Terry is a Fellow of the Chartered Institute of Marketing. Terry will retire at the end of February and will take the opportunity at this to introduce his successor, Ryan McPherson, the new Middle East Director at the Energy Industries Council (EIC). Ryan brings over 10 years of oil and gas industry experience, as well as a deep understanding of the Middle East industry. If your company is a BBG member and you are not a named member, please register by emailing booking@bbgdxb.com to benefit from the member rate. Named members should register online as usual.Cancellations will be accepted until 11.59am on Sunday 17 February after when “no show fees” will apply.